The eccentric Carl Ertz character makes his first appearance during S05E01 of Entourage, Fantasy Island. Carl contacts Ari with a potential movie offer for Vince, but when the actor cuts a vacation short to meet with Ertz, the gang learns that the offer isn’t all that it seems. 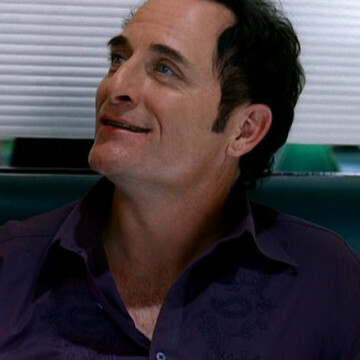 Kim Coates, who portrays Ertz in two episodes of Entourage, also plays the part of Tig in the FX series Sons of Anarchy.